This is just a narrative assessment of the film The Woman Who Left. This is not a futile attempt to cover a scholarly report on Lav Diaz’s entire filmography by comparing this film to all of his other cinematic efforts. It will only run through the entire filmic experience from fade-in to fade-out. We start with the overall impression: the film is so far, on the face of it, the best of the year. For a film that clocks for almost 4 hours, it is unexpectedly engaging. The dramatic narrative is concise and immediate, and it does not concede to pandering to artistic verisimilitudes, even if the vast richness of the aural-visual material of a woman’s return and departure is poetically paralleled to her whole life being a performance art. 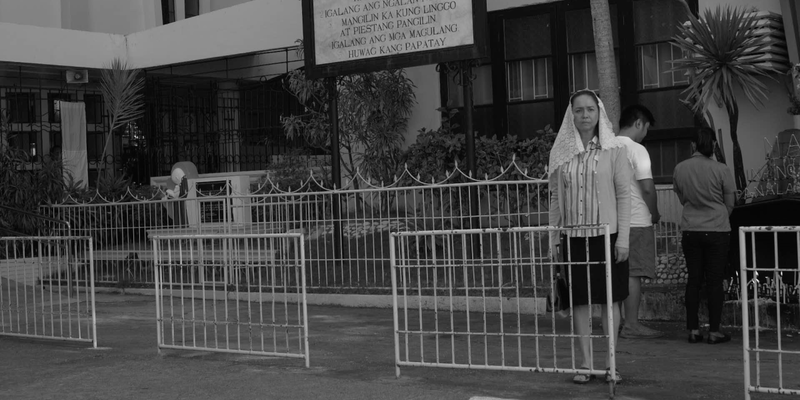 We follow the journey of Horacia/Leticia/Renata from a correctional facility to the connecting towns of Bataan and La Union in order to reconnect to her past and eventually blend to the society, albeit incognito – after 30 years of wrongful imprisonment. She had already lost her husband and quite possibly her son – and perhaps, the only way to get back to the man who wronged her is to exact a revenge outside the borders of legal justice. It is the same corrupt system that incarcerated her, anyway; might as well deliver her comeuppance with her own hands. While it is seemingly treading the territories of a classic revenge/morality tale, The Woman Who Left is at its core about the woman who left – after bittersweet episodes of lurking in and out of the shadows, and clandestinely assuming identities as she glides and composites herself to a forgotten island community – Charo Santos’ woman subject is a major Jean Valjean with dependable stalking skills and active goals except she is the one in the offensive mode. She is broken and deeply scarred as a hunted animal but she is much rather nurturing as an Edmond Dantes. Horacia is Ivan Dmitrich Aksionov, except her final escape is to slope to placid madness. At the end of her journey, as she ferries to mainland and into the jungles of the jolting nation capital, Horacia leaves a lasting mark – with everyone she crosses path having been disputably redeemed, and from whom a tinge of hope starts to spring in eternity. So unlike the Hollywood fare, Horacia’s Ahmet is the final resolve very telling that the realities of her existence are akin to being a broken machine – she accepts her state and decides to walk the wheel! As her country spins downward spiral to a sociopolitical psychosis, her journey would not stop 20 years from then. At the risk of being swept up by the waves, we can go so far as to say that The Woman Who Left is both Lav Diaz’s and Charo Santos’ career best “performances.” Even if the film’s reputation is doubly-magnified by its remarkable Golden Lion victory in Venice, there is in quite extent a superlative quality that masterfully concocts an “avenging prisoner with a heart of gold” to a careful reexamination of the year when all these present social conditions have all begun. Horacia missed three Philippine presidents outside the walls, but her enclosed community would not seem to differ from the madness of the proclaimed free.